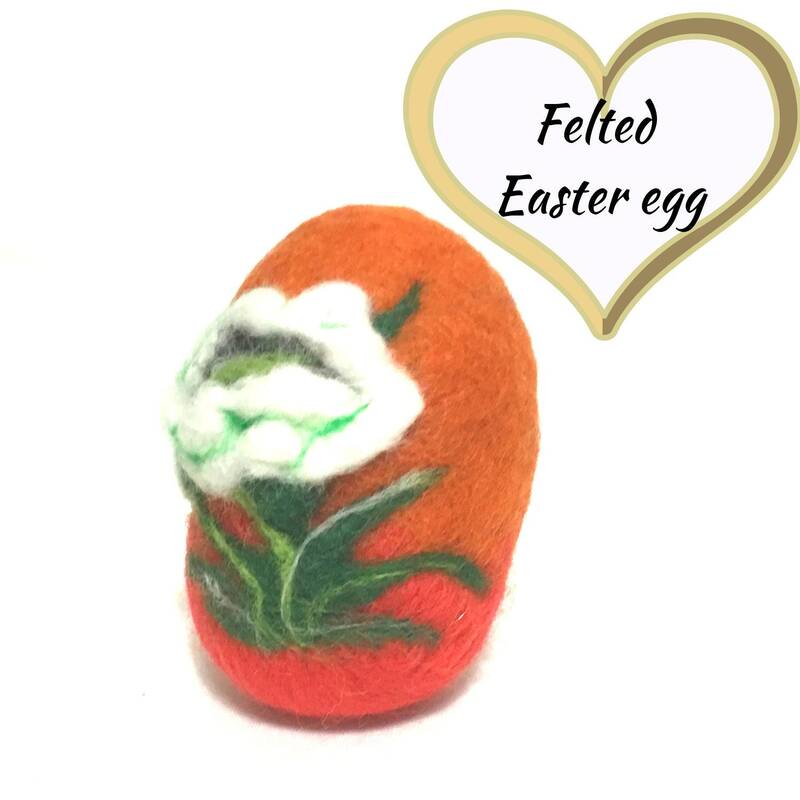 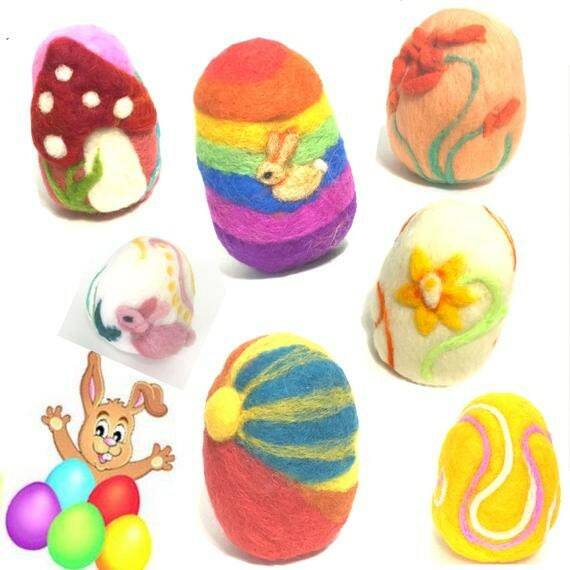 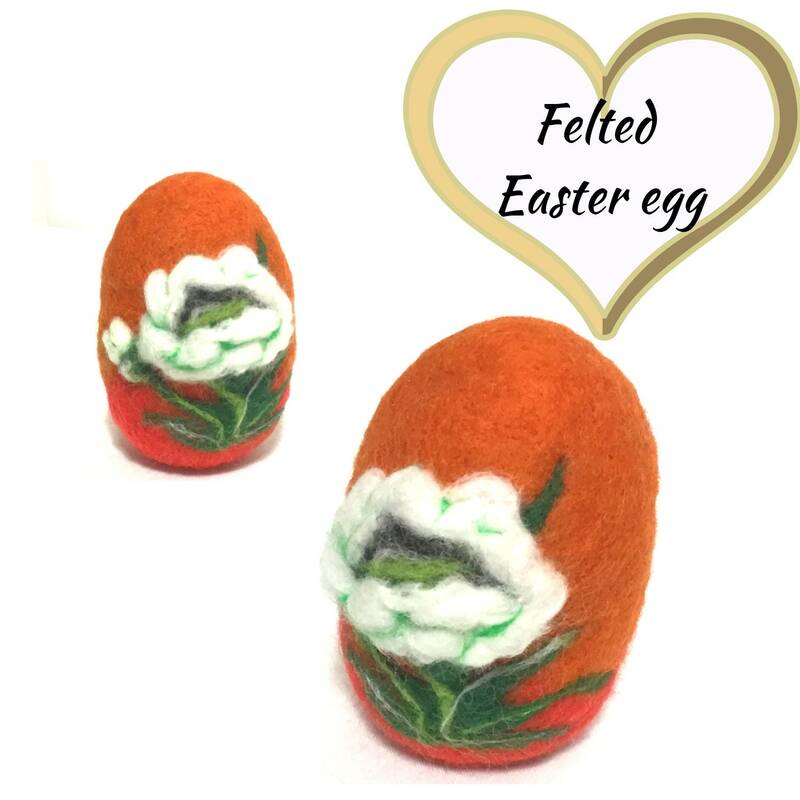 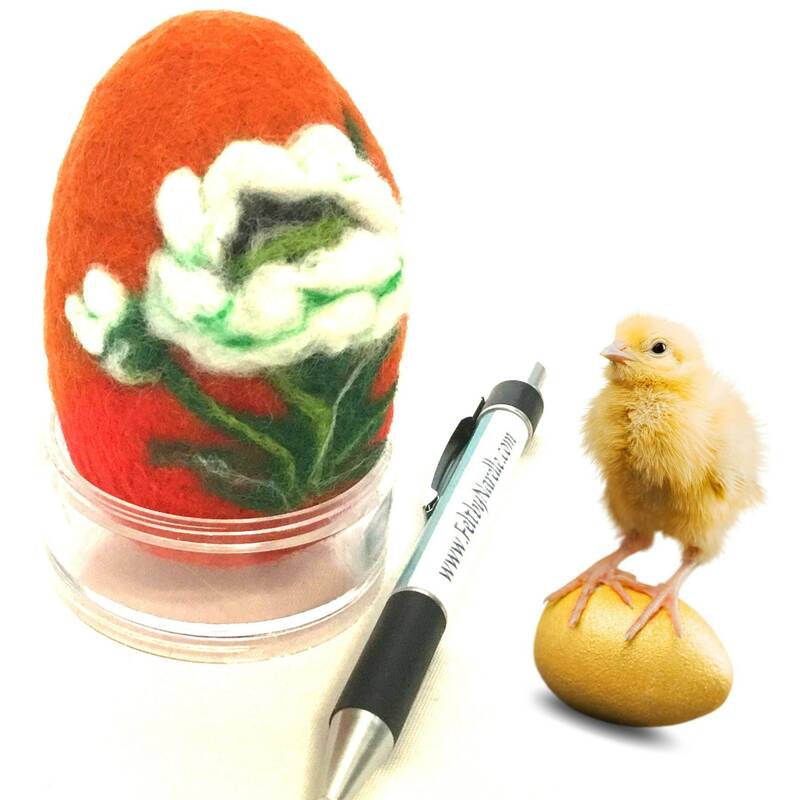 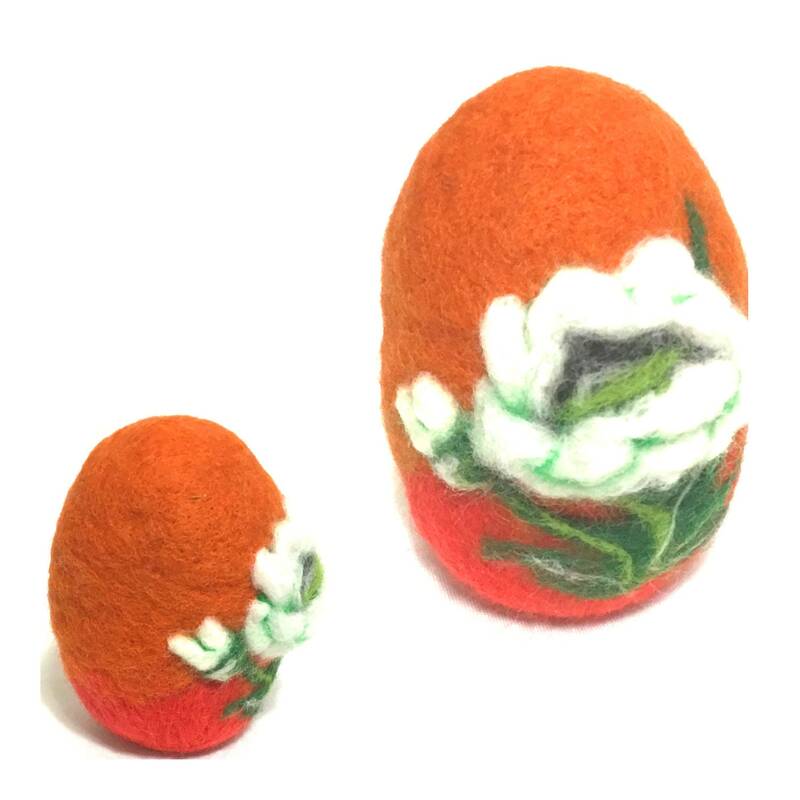 This pretty felted easter egg makes a lovely gift for someone who is diabetic or just cannot eat chocolate, and makes a great table decoration! 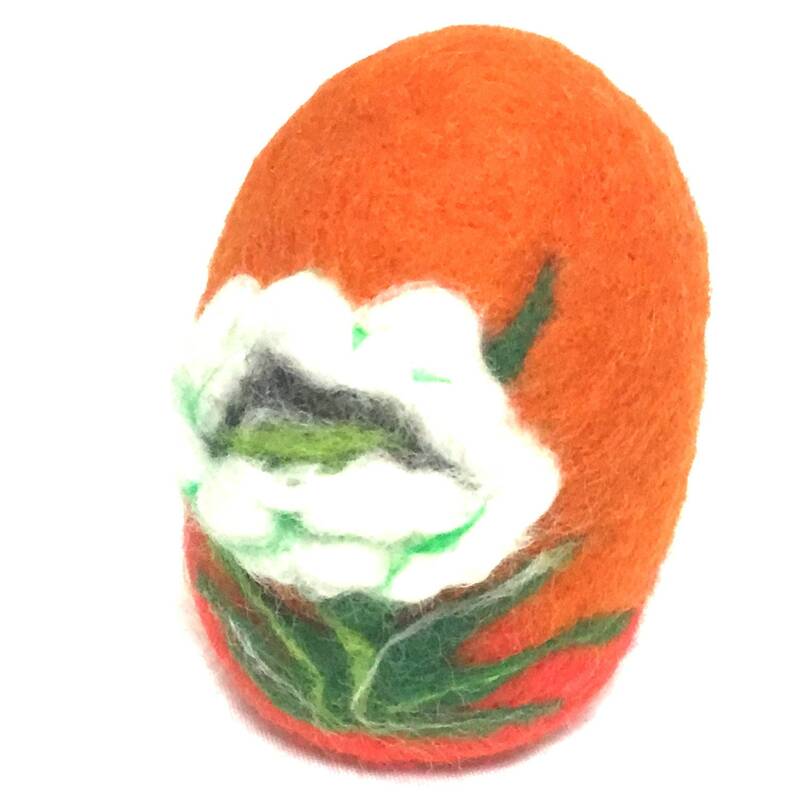 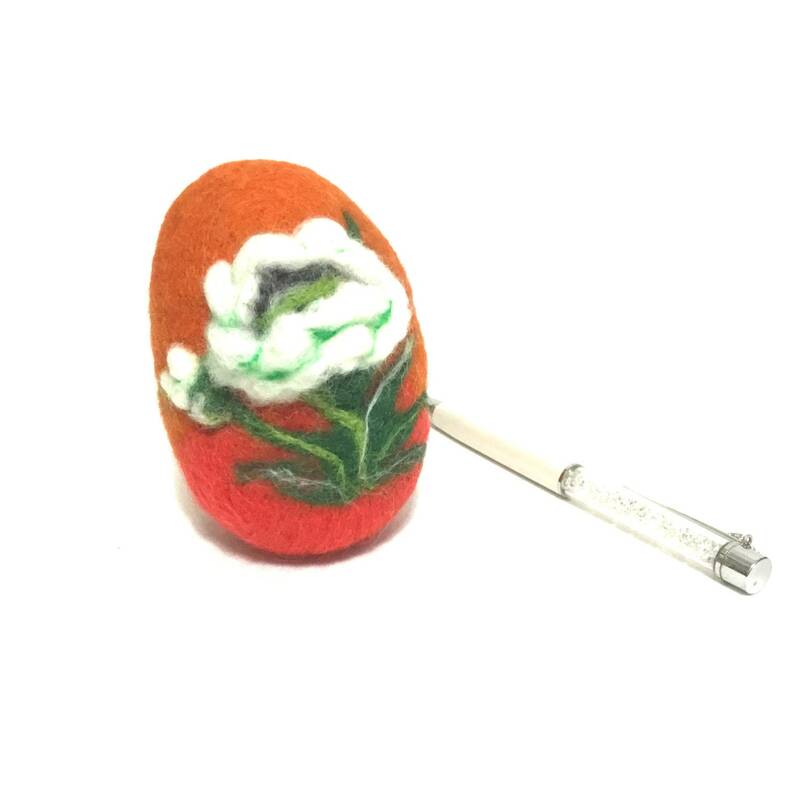 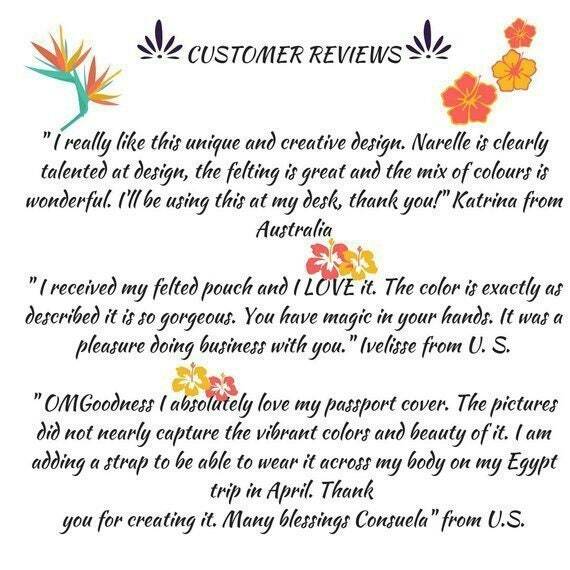 It is red and orange background with a white poppy and is needle felted by hand from eco friendly Australian merino wool roving. 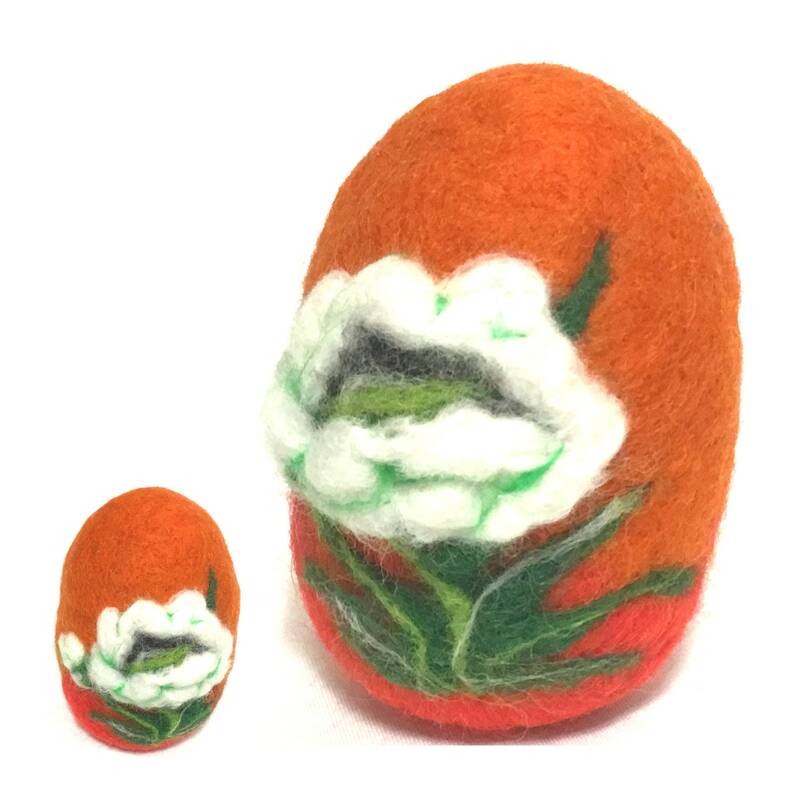 The size is 4" tall by 2.5" wide. 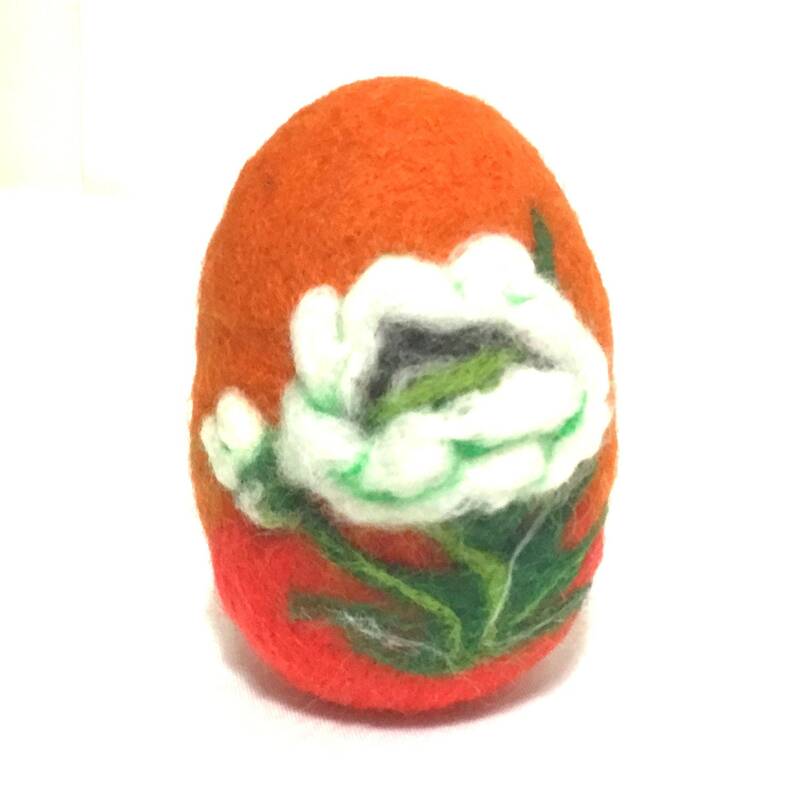 This is not a copy but an original one-of-a-kind easter egg so that you can be sure that it will be appreciated.